Linkages between international companies and local businesses are particularly important to the economies of developing countries because they provide a means of bringing much needed capital, as well as diffusing knowledge of international commerce to the linked local firms. Local partners have the ability to access vital market knowledge; navigate regulatory requirements; provide labor and other inputs at competitive rates; utilize pre-established sales network; and maintain other necessary business relationships (i.e. banking, legal, and distribution), which are critical to the success of any investment opportunity in Iraq. Such linkages can help to promote production efficiency, productivity, growth, technological and managerial capabilities and market diversification. 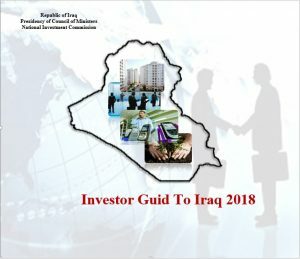 The National Investment Commission supports and will facilitate matchmaking between Iraqi businesses and international entities. Linkages with foreign affiliates are a great driver of growth in a developing country’s domestic economy; foreign partners benefit from linkages, frequently through reduced costs, local market and product intelligence and enhanced assets. Local partnerships can serve as vital pathway to successful operations in countries that are in the process of refining their legal and regulatory environments, such as Iraq. 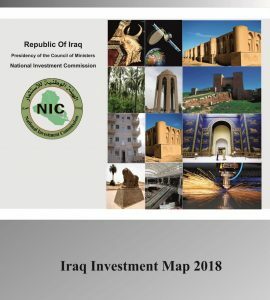 Given the importance of local partnerships to facilitate investment in Iraq, the National Investment Commission is currently developing a local business matchmaking program that will connect Iraqi businesses with international companies seeking to enter the Iraqi market. The NIC will be able to provide matchmaking services based on a number of factors including location and economic sector. International and local companies interested in partnerships should contact the NIC by filling out the Partnership Request Form and provide information on their company and the type of partnership they are seeking.